This one is sold but do not despair. 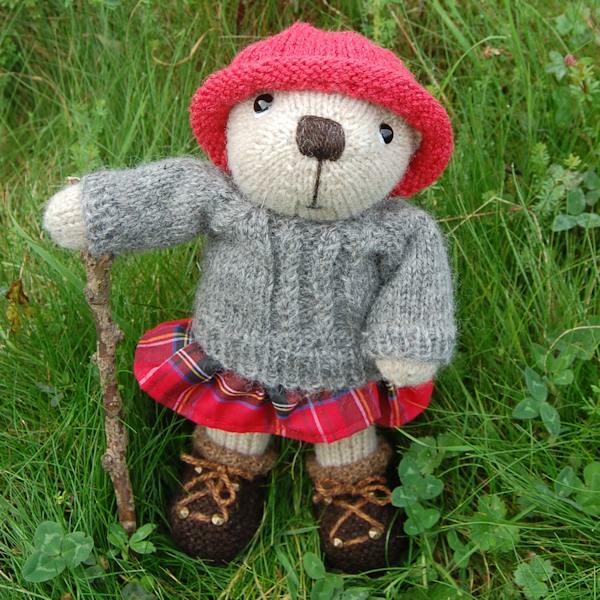 Although one-of-a-kind (OOAK), if you really love this one we can likely make you another that is very similar. 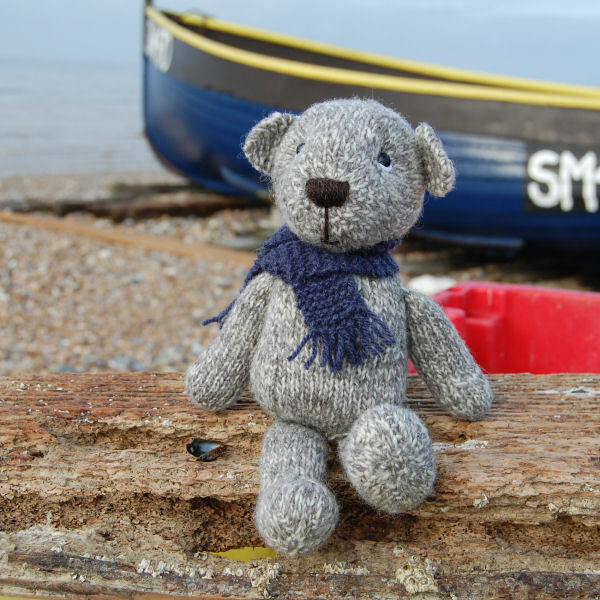 The colours will vary slightly due to the nature of the hand-dyed wool but it will look just as cute. Use the "Ask a question about me" form (below) if you would like to know more. 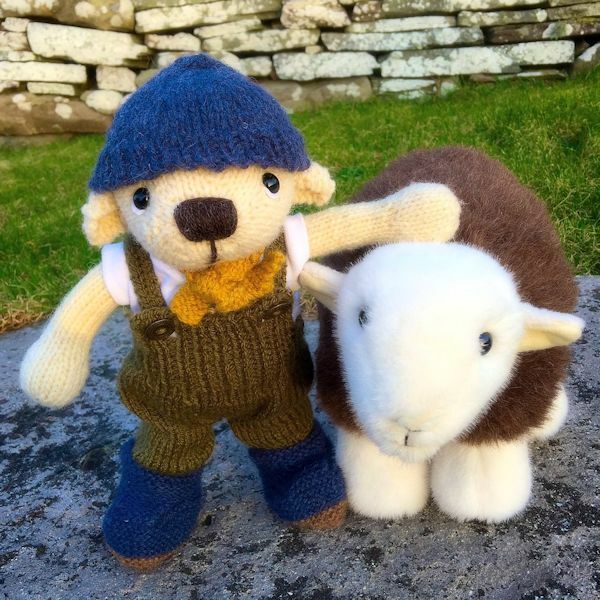 Or sign up to our newsletter to ensure you are one of the first to know when a new OOAK arrives. 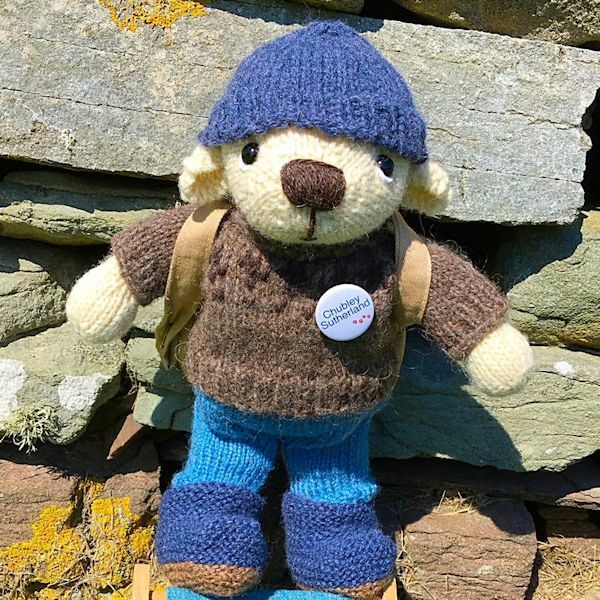 Being a bit of a connoisseur of shortbread, the very cute Imogen comes from a traditional little village in the Highlands of Scotland where she has a tea shop specialising, of course, in different varieties of shortbread. 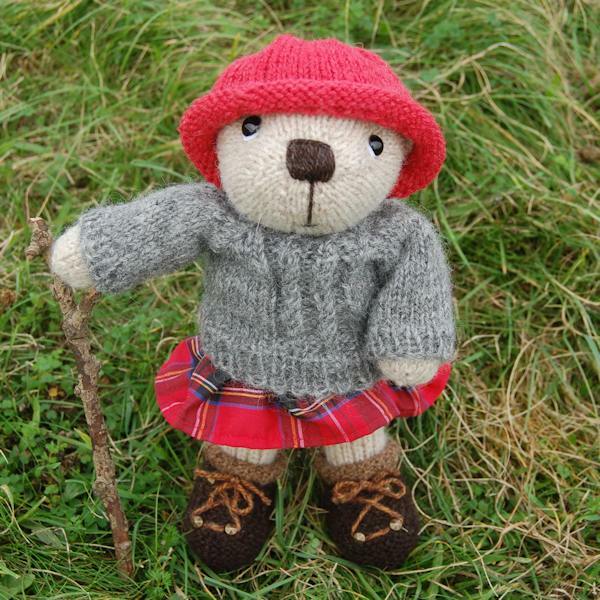 When she is not busy baking her famous biscuits, she is another of our bears who loves country walking – hence the walking boots! 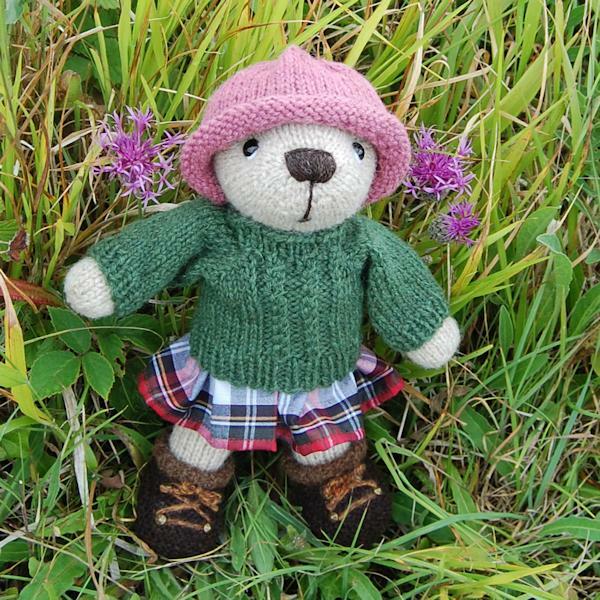 Imogen is a special edition bear and she is not suitable for children due to her glass eyes, so, really I have designed her with our ever increasing Knit Bear followers in mind. 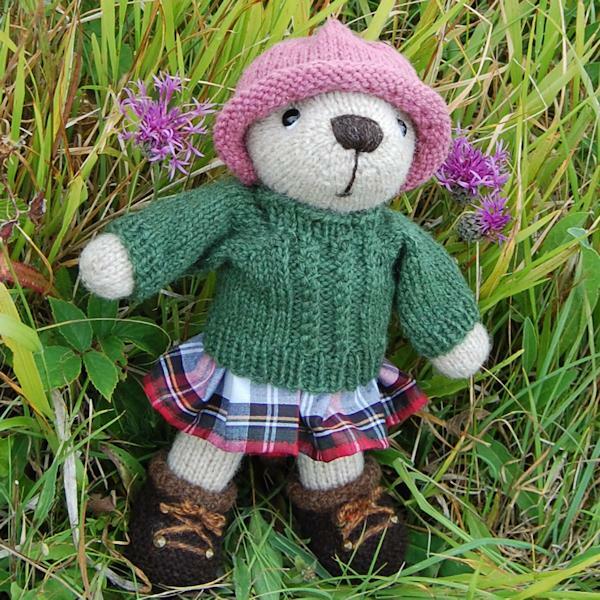 Being a wonderfully soft Shetland wool bear, I have chosen the naturally coloured fawn wool which complements the colours of her outfit. 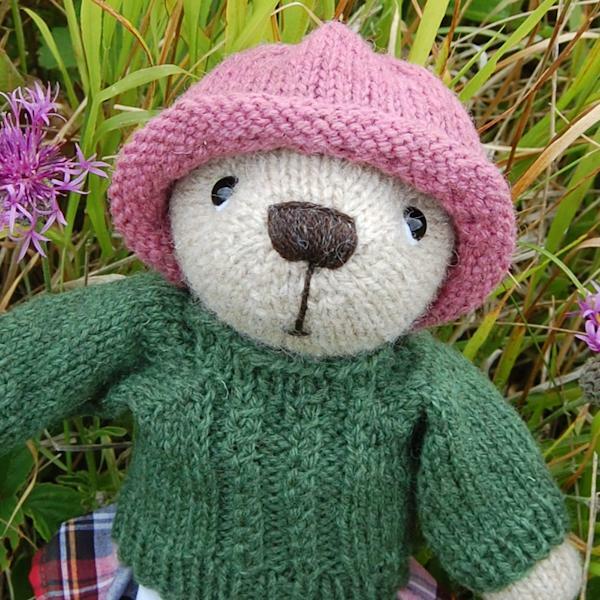 With an embroidered nose and gorgeous hand made glass eyes, this bear is seriously cute!